A proposal for an observatory on Yashima Peninsula overlooking the Seto Inner Sea. Simultaneously, a platform to experience the beautiful panorama, and a new landmark for the genius locus that is historical and rich in geomorphological qualities. 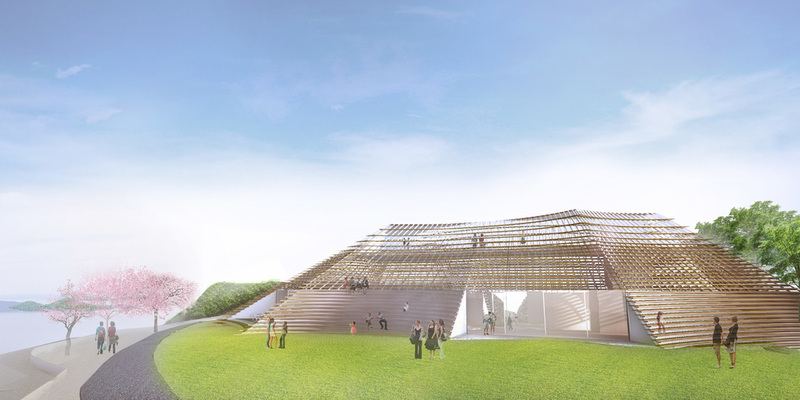 The strategy was to create a combined approach towards architecture, structure, public space, and landscape. This plateau peninsula, thus, has a new continuation of its natural landscape that caps at the summit of architectural intervention. Identifying and locating a series of public spaces for various events over scales and seasons resulted in the eroded periphery of the intervention. Another consideration was to turn the entire intervention into an observation platform, whereby the panoramic view can be enjoyed from anywhere, even from the outer shell. 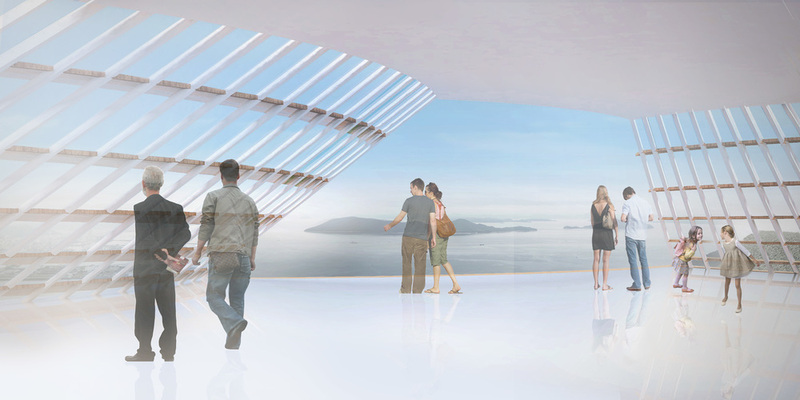 The visitors can interact with the stepped progression to sit, rest, and stand to enjoy the ocean’s view or events, keep climbing to find the optimal position(s) or reach the observation deck at the top. This stepped, lightweight skin was made possible by the reciprocal negotiation of various factors. 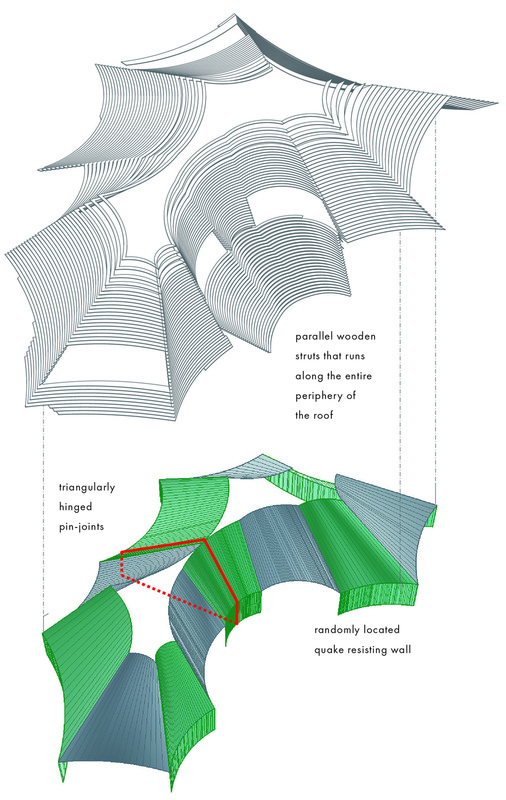 Firstly, a system of ruled surfaces generated a robust, birdcage-like structure, composed of straight vertical elements and curved horizontal steps, which is strong against earthquakes and an economical structural logic. Secondly, the porous yet rigid structure made of light materials allowed light to come into the interior space; therefore, creating a sensation of sunlight filtering through foliage rather than openings through an oppressive cavern. The steps are essentially a series of brise soleil, and while glazing layer provides a hermetic seal for interior environment, the indirect, ambient natural light provides less heat built-up and saves energy.